Shocker is undoubtedly the UKs number 1 host for Hardstyle & has been dubbed the voice of Hardstyle in the UK by many in the industry. His career started in the mid 90s during the boom of the UK Rave scene. He then went on to find worldwide success as part of a trio with the infamous Cally & Juice performing in clubs & festivals all over the world. 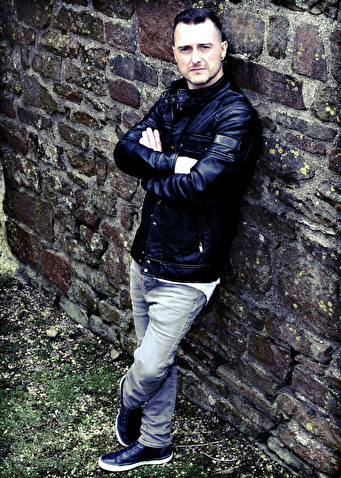 He is also known as the resident host for what was the biggest Hardstyle event in the UK, Bionic. During his 16 year residency with them he worked with pretty much every Hardstyle artist there is. Since the demise of Bionic,he has continued to host events such as Kiddstock, Coloursfest & the KTRA events. Plus during his career he has hosted arenas at the likes of Westfest, Creamfields & the mighty Defqon 1. He is also a major player involved with the newly founded HDUK brand which has had a massive impact on the UK Hardstyle scene in its short lifespan of just 2 years. In the studio he regularly provides vocals for various producers. Over the years with Blutonium Boy, Davide Sonar, Cally & Juice, & Jon The Baptist & DJ Chuck-E and more recently he has worked with Alphaverb, Cally & Steve Hill with releases this year & more planned to be released in the very near future. Shocker is a well liked, professional, energetic & vibrant host making him stand out from the crowd. He is a great addition to any line up & is guaranteed to lift up any atmosphere to the next level. This MC is the best !! !